You are here: Home / Sports Turf / Does Superbowl Turf Need to Perform Better? Does Superbowl Turf Need to Perform Better? 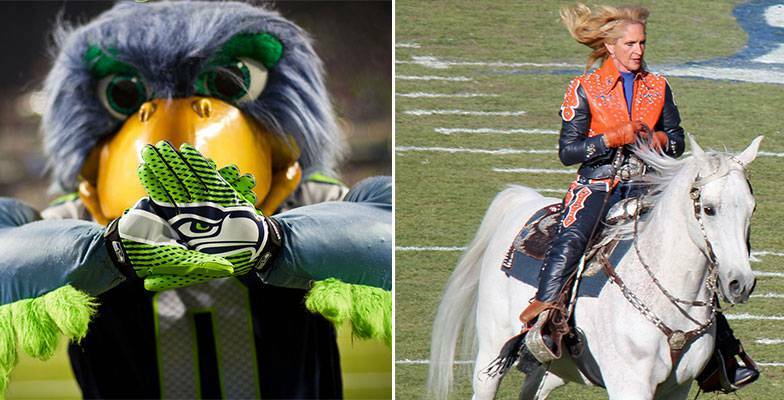 The Superbowl is, without question, the most popular sporting event in the United States. In fact, according to ESPN, the top three most watched programs in the history of American television have been the Superbowls of 2012, 2010, and 2013, respectively. Viewers tune in to see the best teams in the nation perform at the top of their game. They watch the players, the coaches, and even the advertisements, but arguably one of the most important components of any game remains seen but unnoticed: the turf. The turf used during each Superbowl depends entirely on the stadium. For instance, most of these games are conducted in warmer climates, which may cause the stadiums to use different turf than those that are held in cooler areas. Likewise, many championship games are held in domes, which support artificial turf better than natural grass. Superbowl XLVIII is making waves as the first to be hosted in a non-domed stadium in a cold weather climate. Normally, the Superbowl must be held in a domed stadium in an area with an average temperature of 50 degrees or higher, but this rule was waived in order to commemorate the opening of the MetLife Stadium, which is the most expensive stadium in the history of American football. It utilizes UBU-Intensity Series S5-M Synthetic Turf. This turf utilizes pellets to mimic the feel of dirt rather than the once typical concrete base. Many domed stadiums use this or a similar product. Likewise, more open air stadiums are shying away from natural grass due to the longevity of turf. When preparing turf for the Superbowl, groundskeepers must keep three basic ideas in mind. 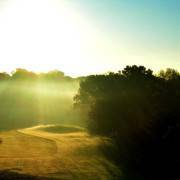 These help them choose the best turf for the biggest event of the year. A concrete base can cause severe injuries during a sport that is already rife with physical harm. Players have been known to suffer concussions and broken bones that could have possibly been prevented had the base of the fall been cushioned. Likewise, rough, plastic turf can cause scratches and rashes to players, which are unnecessary. The best turf is that which utilizes synthetic or natural dirt to create a softer fall. Also, turf that adopts the consistency of grass rather than the difficult nature of plastic creates fewer annoyances for players who have other things to worry about. The best turf is that which does not have to be replaced on a regular basis. Football games are rough on the surface of every stadium regardless of its turf. However, the best turf withstands the abuse caused by a competitive game. This saves time, money, and frustration. It is well known that natural grass fields require a great deal of maintenance. Well before the end of each season, rough patches in fields are not just eye-sores. They also create an unevenness that can affect the outcome of the game. Those in charge must look to the bottom-line, and they know that the right turf can be the difference in hundreds of thousands of dollars. The most important aspect of how well turf performs is how it affects the game itself. In the past, there have been major catastrophes that were narrowly averted, thanks completely to the surface of the field. There have been games in which sod was removed from high school stadiums to replace the damaged grounds or where sawdust was belatedly sprinkled atop the turf, and then painted green in hopes to look more presentable. These options are not ideal to say the least. Also, they represent a lack of planning. Players roundly state that artificial turf is preferable to natural grass. Even freshly laid sod gets damaged quickly, making players lose their footing when the terrain becomes uneven. Outdoor grass becomes muddy with any precipitation, whereas turf keeps its form. In most cases, grass can be very slick. This is especially treacherous for kickers who need an even surface to be accurate with field goals and extra points. 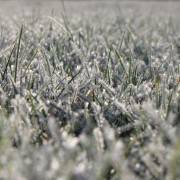 The right turf is no trouble in the case of bad weather, but the wrong turf or natural grass can be a serious issue. If ice or snow invades the stadium, groundskeepers must use heaters and blowers to move the game along. The wrong turf or grass can be severely damaged by these devises, potentially creating more damage along the way. This is especially important during Superbowl XLVIII. 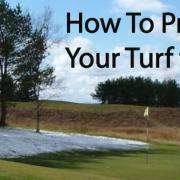 With variations in weather that could range from a wintry mix with below freezing temperatures to a sunny 50 degree day, the turf has to be able to accommodate everyone, including those watching from home. https://cwsportsturf.com/wp-content/uploads/2014/02/Superbowl-Turf.jpg 400 784 Keith Kitchen https://cwsportsturf.com/wp-content/uploads/2013/04/CWLogo-trimmed-F003-cd1.jpg Keith Kitchen2014-02-02 17:18:172019-04-03 11:16:14Does Superbowl Turf Need to Perform Better? Turf Services that Fans Notice What is in Store for Turf Management in 2014?